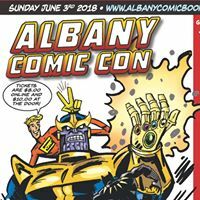 The Albany Comics and Toy Show is a twice a year event in the Capital District of Albany in Upstate New York. Now in it’s 7th year. 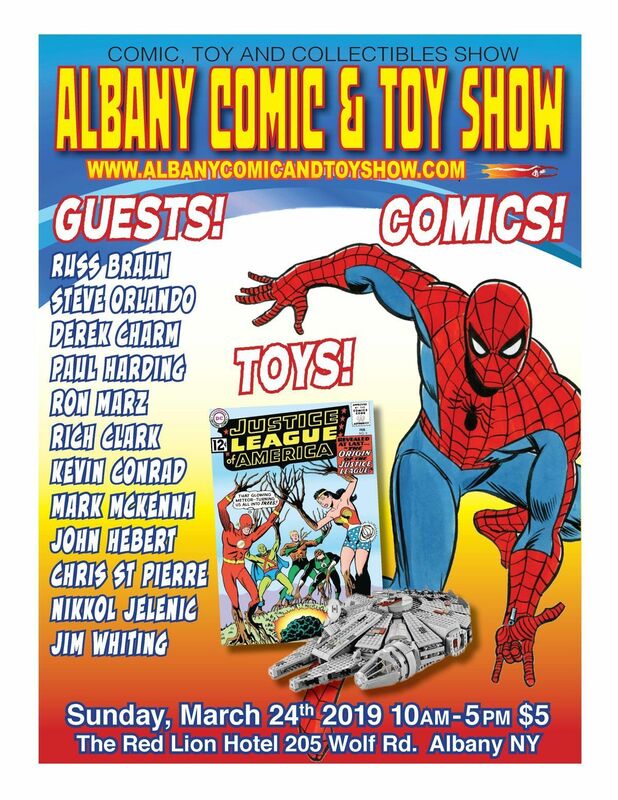 The show features new and vintage Toys, Comic Books and Collectibles of every kind including: Star Wars, GI Joe, Transformers, Mego, Horror, Movie memorabilia, Wrestling, Non Sports Cards, Barbie’s, Statues, Model Kits, Original art and much, much more. 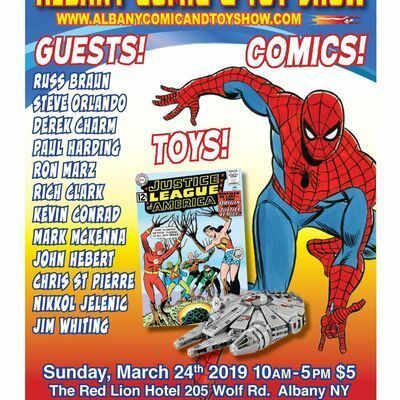 Along with a great line up of vendors, the show hosts professional guests that create comic books, comic book art, gaming card art, statues and action figures This show is for anyone, of any age, that loves or collects comics, toys or memorabilia.